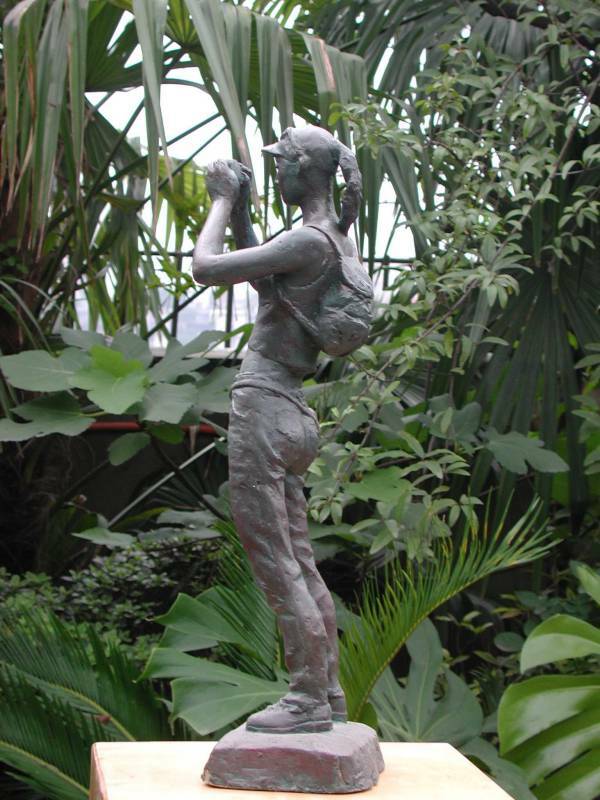 This "Chinese Tourist" sculpture is currently in bronze resin. 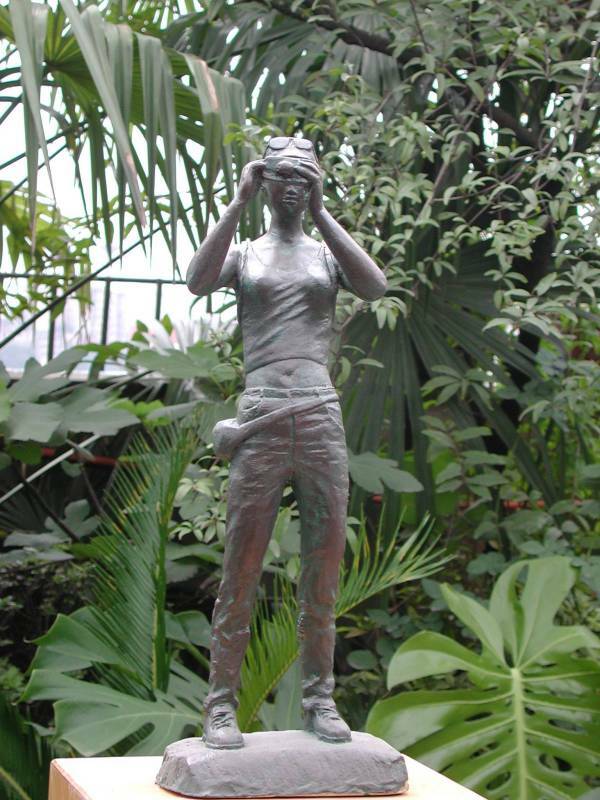 It can be purchased either in bronze resin (as an unlimited edition artwork) or in bronze (as a limited edition sculpture - one of a series of 8). 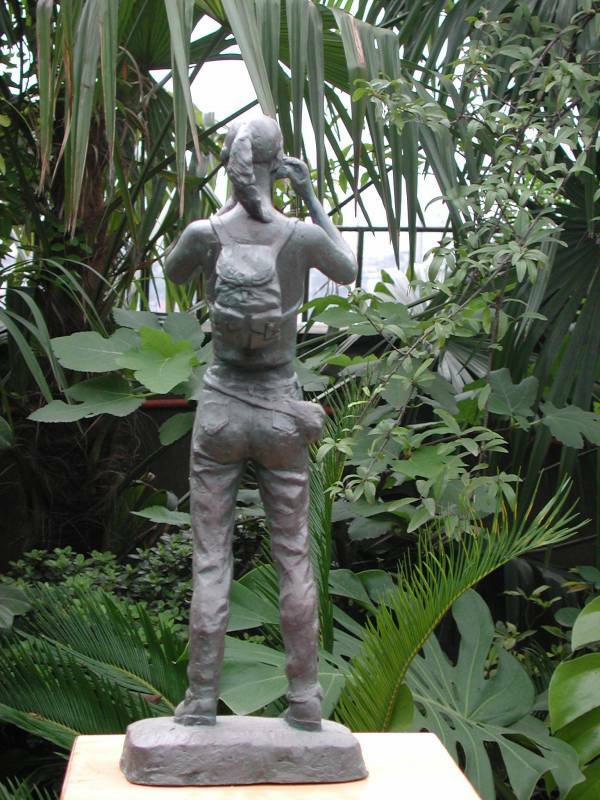 "Chinese Tourist" can also be commissioned in any size for a private garden or public space (either in keeping with the original concept or with a European or African face). 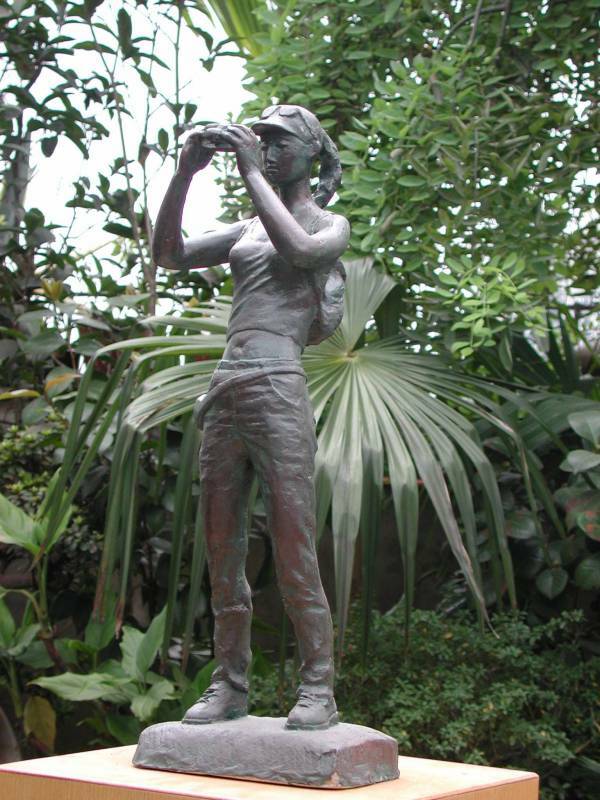 Title of sculpture: "Chinese Tourist"
Zhang Yaxi can also be commissioned for any large-scale sculpture (lifesize or larger).